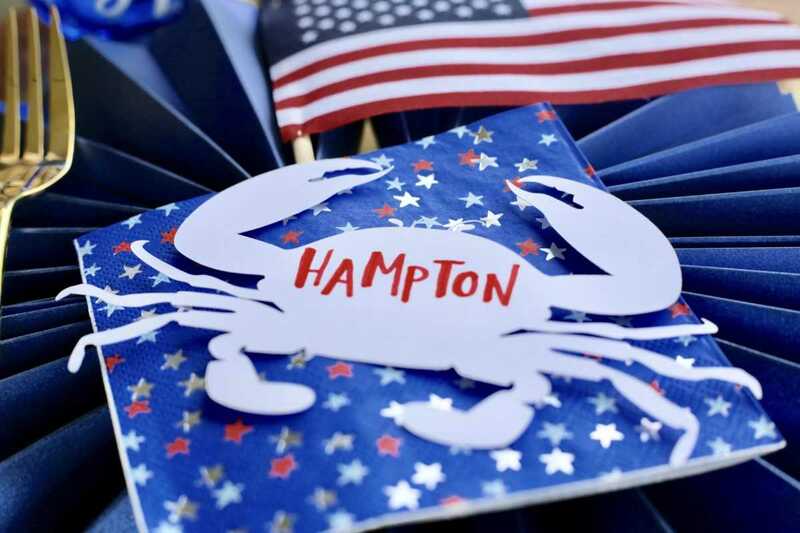 For everyone who is planning a seafood boil or loves the Americana of a nautical-style party, you will need this Silhouette crab design! 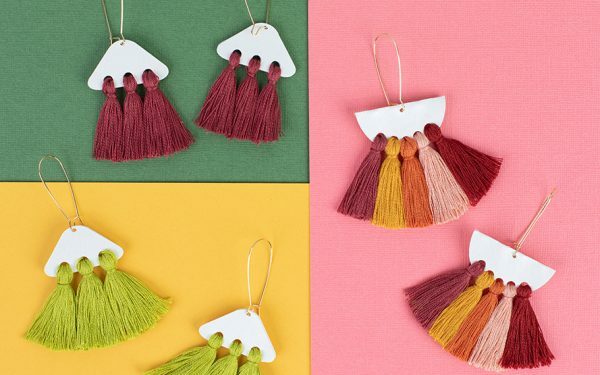 It’s perfect for place cards, straw toppers, and centerpieces. Cut to your crabby heart’s content! 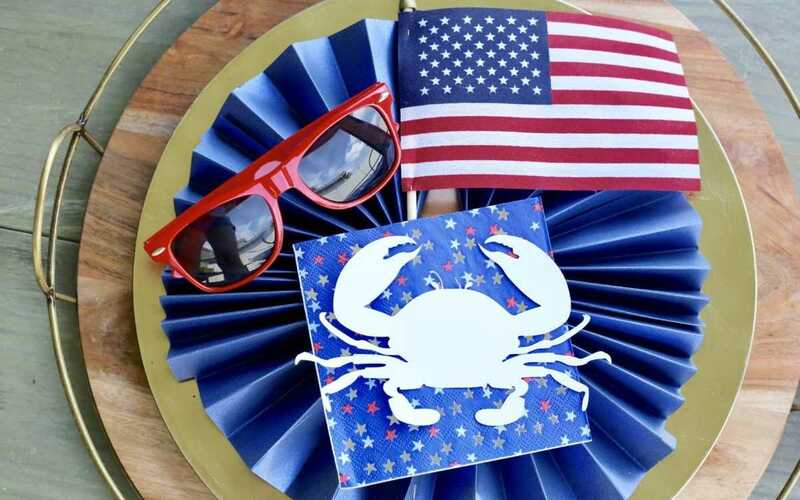 We integrated our crab design with a red, white, and blue theme to bring home the nautical feel that really says summertime. I hope you love this quick and easy party theme decor! After purchasing the art (Design ID #76598) in the Design Store, open the design in Silhouette Studio®. 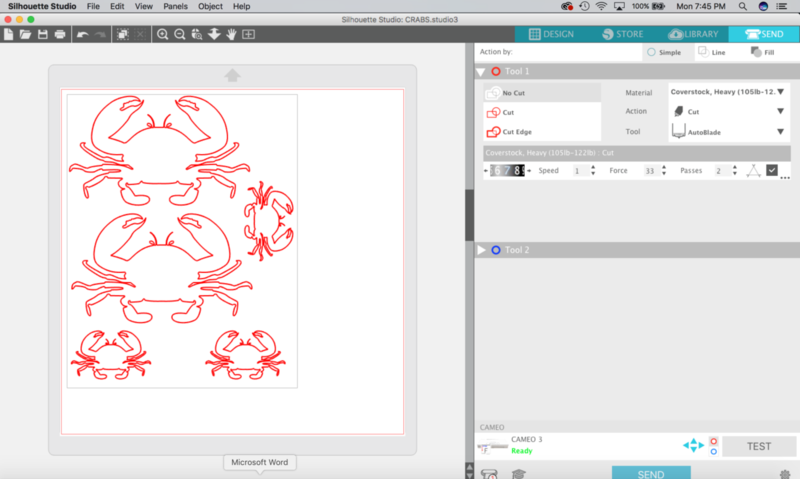 Place your crab graphics and size them to your preference. We filled up our sheet and didn’t waste any space. You can’t have too many of these cute crustaceans. When you open the Send tab, everything the CAMEO will cut will be highlighted in red. If you are using a ratchet blade, set your blade. I have an AutoBlade, so the hard work is already done for me! Choose “Heavy Cardstock” from the menu and adjust your blade to the recommended number. Load the cardstock into the CAMEO, and click Send. When the CAMEO is finished cutting, remove the excess cardstock. 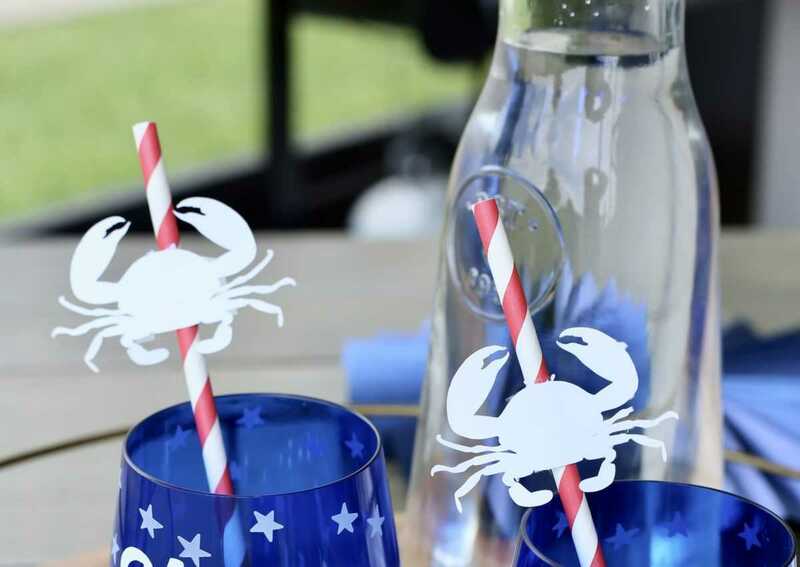 The cardstock crab can be added to the straws with the help of double-sided tape, glue dots, or even regular tape. 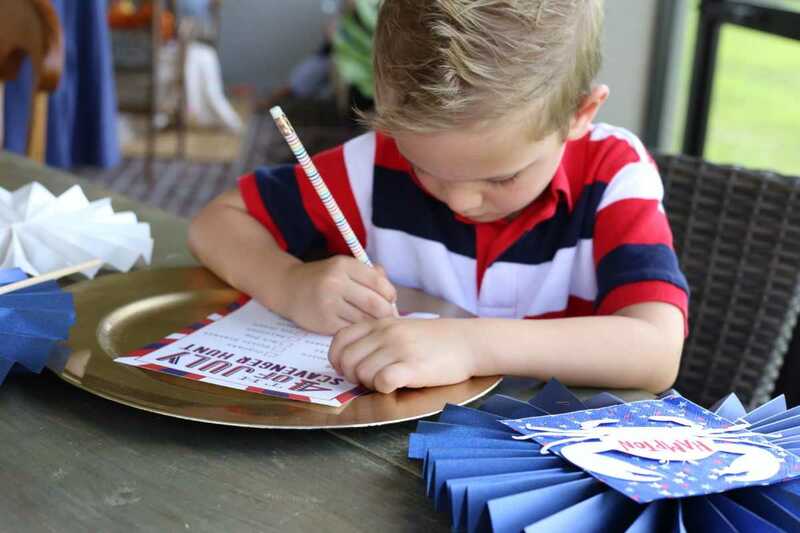 Put them on each guests’ place setting. 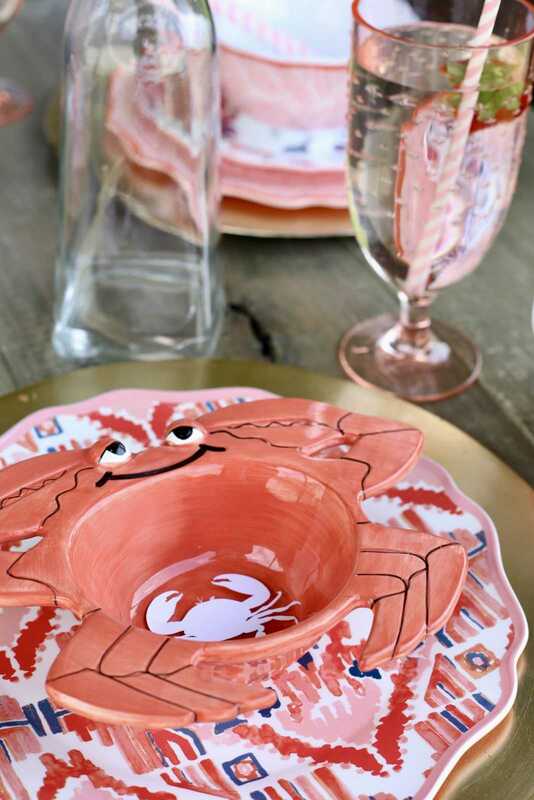 Write your guests’ names on the crab for a personalized touch. I don’t know about you, but I’m ready for a party. I’ll bring the party décor; you bring the food! I really can’t say enough great things about my Silhouette. The design ideas and possibilities are endless, and no matter the party theme, there is a Silhouette design to coordinate! It makes entertaining that much easier! Jessica Belvedere is the owner and creative behind Live Like A Mother. She has an extensive background in graphic design and changing diapers. The LLAM blog is where she gives her insight on being a chic mom in the middle of the mess, interior designing, cooking for kids, and throwing the perfect (yet realistic) party. She is passionate about creating a place for moms to visit, vent, get design freebies, and shop for fun gifts for themselves or to share with other moms who they adore! When she isn’t doodling on her iPad Pro or creating for LLAM, you will find her cooking or having a tea party with her two sassy daughters. When the kids are asleep, she enjoys spinning a vinyl record with her handsome hubby and she savors a glass lemon zinger tea (her favorite) with her gal pals for a GNO. Most importantly she believes it’s vital to Live Like a Mother.